emphasized that it is the public’s responsibility to stay off of railroad property, and that the failure to do so may well cause a mass casualty event, I believe a reduction in incidents might well follow. There’s a reason why groups working for minority rights usually start by attempting to change terminology which they believe contributes to their oppression: When the words we use to describe certain situations changes, our action in those circumstances tends to change, too. So here’s some very general examples of how news outlets could word their reports on railroad accidents in a way that places the cause of the incidents where it belongs. Please note: None of these blurbs are reporting on or based off of real incidents. They are merely examples of how terminology could be different. A pedestrian at the Main Street Station died after ignoring warning signs and stepping in front of departing train. A train struck a pedestrian at the Main Street Station. A trespasser lost his life after attempting to crawl under a parked train. A man died after being run over by a freight train. A family of 4 is dead after the driver failed to stop at rural crossing and ensure that no trains were coming. Four people dead after collision with train. A teenager wearing headphones died after failing to hear the horn of an oncoming train. A young woman was struck and killed by an oncoming train. -A train derailed after a semi-truck driver failed to clear a grade crossing. Several cars derailed, and the train crew suffered significant injuries. A train derailed after hitting a semi-truck. These sentences are structured so as to emphasize the cause of an incident, not the effect. I sometimes get the feeling that members of the media reporting on train accidents do not realize, or is reluctant to admit, that there is blame to be placed when members of the public are involved in railroad incidents. That needs to change. Every single grade crossing and pedestrian death is a completely avoidable loss of life. There are no exceptions to that.Reporting about these incidents so as to completely obscure the choices of the individual choice of person who placed himself in the path of the oncoming train does not work in the interest of public safety. It deemphasizes that playing chicken with a train risks not only one’s own life, but the lives of the passengers in the car, and the train’s crew, and however many more passengers might be riding on the train. It ignores laws of physics that make it impossible for a train to stop with the same ease as a car. 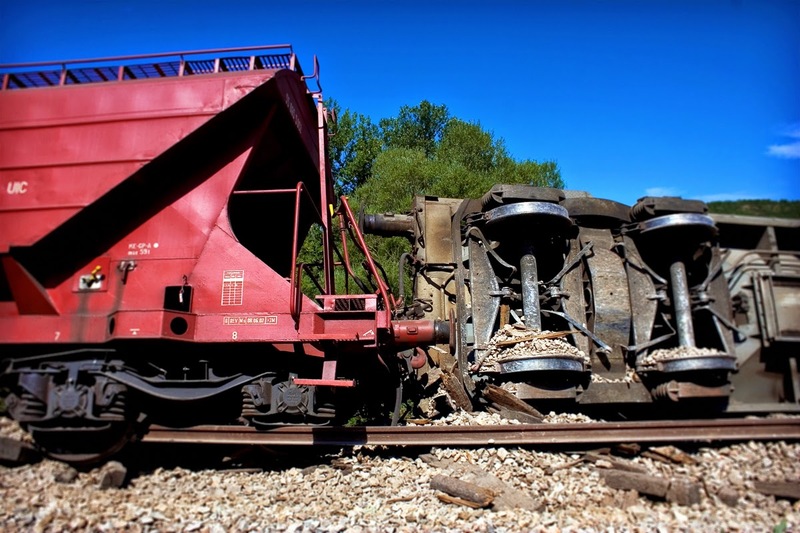 The takeaway from coverage of a railroad fatality or incident should be this: In most cases, the victim ended up in harm's way because of his or her own actions, and the rest of us have a social responsibility to avoid making the same mistake.